We classify all possible new scalar particles that can have renormalizable linear couplings to Standard Model fields and therefore be singly produced at colliders. We show that this classification exhausts the list of heavy scalar particles that contribute at the tree level to the Standard Model effective Lagrangian to dimension six. We compute this effective Lagrangian for a general scenario with an arbitrary number of new scalar particles and obtain flavor-preserving constraints on their couplings and masses. This completes the tree-level matching of the coefficients of dimension five and six operators in the effective Lagrangian to arbitrary extensions of the Standard Model. W. Buchmüller, R. Ruckl and D. Wyler, Leptoquarks in Lepton-Quark Collisions, Phys. Lett. B 191 (1987) 442 [Erratum ibid. B 448 (1999) 320] [INSPIRE]. W. Skiba, TASI Lectures on Effective Field Theory and Precision Electroweak Measurements, arXiv:1006.2142 [INSPIRE]. B. Henning, X. Lu and H. Murayama, How to use the Standard Model effective field theory, arXiv:1412.1837 [INSPIRE]. F. del Aguila, M. Chala, J. Santiago and Y. Yamamoto, Collider limits on leptophilic interactions, arXiv:1411.7394 [INSPIRE]. F. del Aguila, J.A. Aguilar-Saavedra, J. de Blas and M. Pérez-Victoria, Electroweak constraints on see-saw messengers and their implications for LHC, arXiv:0806.1023 [INSPIRE]. F. del Aguila, J.A. Aguilar-Saavedra and J. de Blas, New neutrino interactions at large colliders, PoS(ICHEP 2010)296 [arXiv:1012.1327] [INSPIRE]. J. de Blas et al., Global Bayesian Analysis of the Higgs-boson Couplings, arXiv:1410.4204 [INSPIRE]. J.R. Ellis, V. Sanz and T. You, The Effective Standard Model after LHC Run I, arXiv:1410.7703 [INSPIRE]. 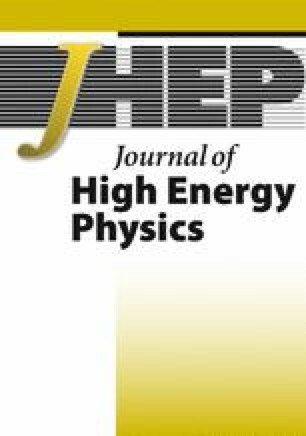 M. Davier, A. Hoecker, B. Malaescu and Z. Zhang, Reevaluation of the Hadronic Contributions to the Muon g − 2 and to α(M Z2), Eur. Phys. J. C 71 (2011) 1515 [Erratum ibid. C 72 (2012) 1874] [arXiv:1010.4180] [INSPIRE]. ATLAS, CDF, CMS and D0 collaborations, First combination of Tevatron and LHC measurements of the top-quark mass, arXiv:1403.4427 [INSPIRE]. CMS collaboration, Precise determination of the mass of the Higgs boson and tests of compatibility of its couplings with the standard model predictions using proton collisions at 7 and 8 TeV, arXiv:1412.8662 [INSPIRE]. CDF and D0 collaborations, T.E.W. Group, 2012 Update of the Combination of CDF and D0 Results for the Mass of the W Boson, arXiv:1204.0042 [INSPIRE]. ALEPH, CDF, D0, DELPHI, L3, OPAL and SLD collaborations, LEP and Tevatron Electroweak Working Group, SLD Electroweak and Heavy Flavour Groups, Precision Electroweak Measurements and Constraints on the Standard Model, arXiv:1012.2367 [INSPIRE]. J.A. Aguilar-Saavedra, Effective four-fermion operators in top physics: A Roadmap, Nucl. Phys. B 843 (2011) 638 [Erratum ibid. B 851 (2011) 443] [arXiv:1008.3562] [INSPIRE].